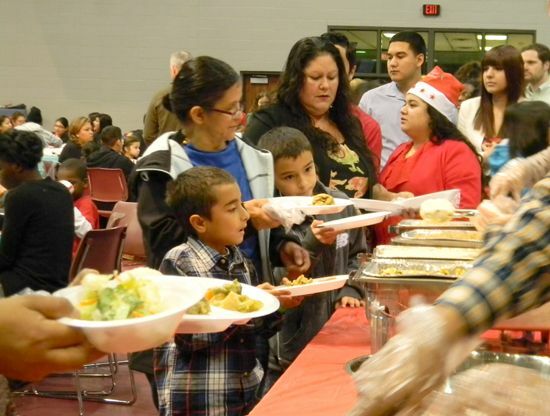 Neighbors, parents, children, students, and community leaders all gathered to celebrate Christmas in a community holiday dinner last Thursday at M.O. Campbell Center. For the fourth consecutive year Bonding Against Adversity hosted a community holiday dinner. The celebration included choirs from MacArthur High School, Hambrick middle school and Escamilla; Christmas Carols, a ballet folklorico represented the Nativity scene. “We started 4 years ago with nothing,” Mariana said. Now, the annual community holiday dinner has become more popular every year since the first time. Santa was also present and gifts were distributed to pre-register kids, so they could have a present to open on Christmas day. 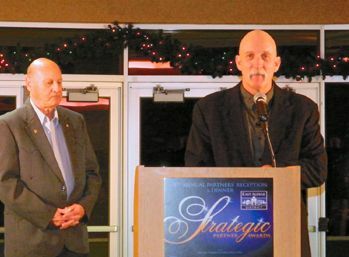 The event was sponsored for Noble Energy, East Aldine Management District and Houston Airport System. Many volunteers also helped make this event possible. The football bug bit Andy Garza at an early age and is he ever glad it did. 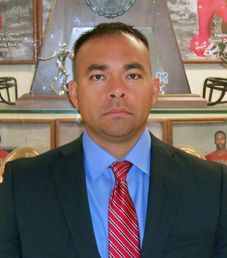 The 35-year-old San Antonio native was named the Generals head football coach in June after former head coach Bernie Mulvaney left MacArthur to become athletic director in Goose Creek ISD. Garza served as Mulvaney’s defensive coordinator for four years, so he knew the players, assistant coaches and the school administration. The transition from assistant coach to head coach was smooth, but admitted being a head coach for the first time had its challenges. The Generals finished 5-5 on the season and narrowly missed out on the playoffs. They entered their final game against Nimitz High knowing that a win and they were in, but they lost a heart-breaking 52-44 decision to the Cougars, which eliminated them from postseason play. Despite missing out on the playoffs, MacArthur had the most wins of any Aldine ISD varsity program and earned Garza the Northeast News’ Coach of the Year honors. Football has been an important part of Garza’s life. He was an all-district linebacker at San Antonio Roosevelt and helped lead his team to the 1995 Class 5A Division II state championship with a 17-0 win over Flower Mound Marcus. After high school, Garza played at Howard Payne University and after college he began his coaching career. Garza has 12 years of experience in the coaching profession. Prior to coming to MacArthur, he served as a defensive assistant at Navarro College, one of the most successful junior college programs in the state. When Garza was named the General’s head coach, one of his first goals was to bring back some of the long-standing traditions, such as the five star decal on the helmets, and the slogan, “MacArthur Pride Never Dies.” That slogan is displayed prominently in the field house and was a mainstay when former head coach Bob Alpert was building one of the most successful programs in the area in the 1980s and 1990s. Garza’s coaching, and life, philosophy is “adapt, improvise and overcome.” He and his staff instill those three words in their players and it came in handy even before the season began. Garza moved wide receiver Joseph Pellerin to quarterback and asked running back Derrick Ford to be the leader on offense. Ford responded with more than 1,200 rushing yards and 13 touchdowns, while Pellerin did a good job his first year under center. The Generals won their opener, 42-0, over Jeff Davis, and then fell to Fort Bend Ridge Point before winning four of their next five games. They were in the thick of the 18-5A playoff hunt up until their final game of the season, an eight-point loss to Nimitz. In his 12 years in the profession, Garza has been a sponge, picking up wisdom and knowledge from those who have been in the profession for decades. Garza and his wife Kathryn have a daughter and a son. Madison is six and Braden is 19 months old. He looks forward to a long and successful tenure at the General’s head coach. ALDINE–Aldine Westfield Bridge over the HCFCD “Harris County Flood Control Ditch” is closed for removal and replacement. The bridge has been closed for a month now. The 2 electronic message boards on either side of the Bridge have been changed to reflect this date change. Bridge is located between Gault Rd. and Strawn Rd. 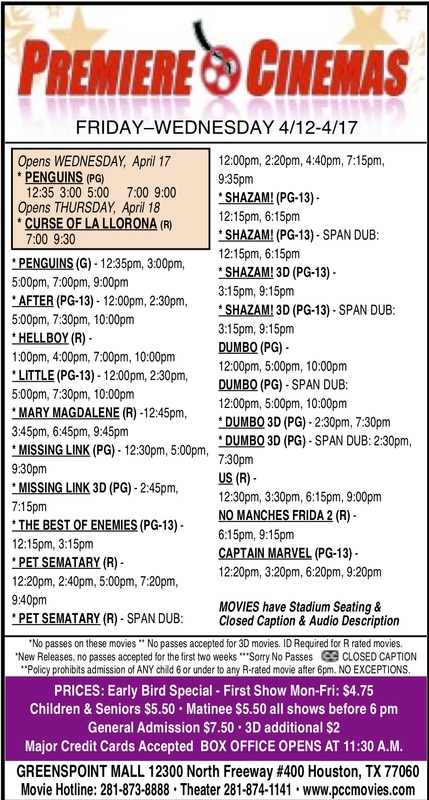 On Aldine Westfield. Traffic has been detoured around the Bridge thru an alternate route during this closure. This closure will be in effect for about 3 months since its closure last November 18 to allow for a total removal and replacement of the old Bridge structure. Construction signing and barricades will be in place near the existing Bridge and “All” traffic will be detoured away from the Bridge by means of detour signs that will be in place throughout the duration of the closure. The detour route will be Strawn Rd, Chrisman Rd and Gault Rd. 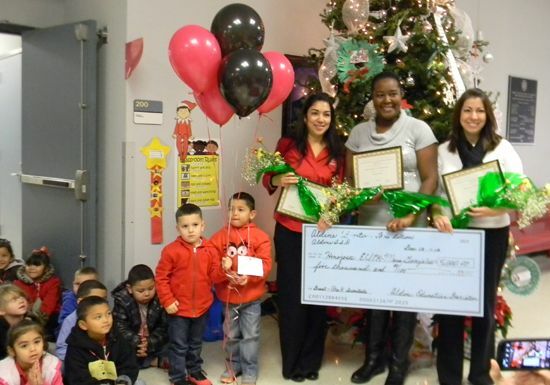 The Aldine Education Foundation (AEF) “Surprize Grant Posse” descended on eight Aldine ISD schools on Friday, Dec. 13 to deliver $31,755 in innovative teacher grants to a number of teachers across the district. This marked the second year AEF awarded grants to teachers to assist them in funding a number of innovative classroom programs. A year ago, AEF awarded five grants, and this year it awarded nine. Last year’s grants totaled $6,555. AEF Board member and former Superintendent Nadine Kujawa said Foundation members were thrilled to be able to increase the number of grants and the dollar amount in just a year’s time. The first stop of the morning was at Hinojosa EC/Pre-K Center, where teachers Maria Gonzales, Jeanetta Denman and Diana Morales received a $5,000 grant to fund their program, “Pre-K Scientists.” The grant will provide materials and resources to offer actual science lab experiences for their Pre-K students. Then it was on to Nimitz Ninth Grade School where teachers Candace Langenbuck, Kristal Ortegon and Ramona Hudnall received a $3,600 grant to fund their program, “Making Vocabulary Relevant.” Their class will create a biology visual dictionary that will be used throughout the biology department. The grant will fund the purchase of digital cameras that will be used in the program. AEF members then arrived at Wilson Intermediate School, where two grants were awarded. The first went to math teachers Treye Beinke, Angela Burnham, Alvin Ardley, Pamisha Reese, Glenn Ryan, German Carmona and Juana Hernandez to fund their program, “Pick It and Click It-Classroom Response System.” The $5,000 grant will fund five sets of classroom response systems that will allow for enhanced formative assessments as teachers endeavor to evaluate progress and ensure success for their students. The second grant at Wilson went to math teachers Thurdette Brooks, Susie Brown, Elizabeth Hart, Hernandez, Tamika Terry and Carmona. Their program, “Integrating Literacy in the Mathematics Classroom,” will provide each fifth-grade math classroom with highly rated, engaging math reading books, problem-solving tools and vocabulary building manipulatives that cover the focused objectives in fifth-grade math. The grant totaled $4,800. Then it was on to Stovall Academy, where math teacher Chamelia Robinson was awarded a $1,000 grant to fund her program, “Math in Motion.” The target of her program is to utilize the whole-brain philosophy along with kinesthetic movement to create stronger connections in number sense and fact fluency. The AEF Posse then headed to Kujawa EC/Pre-K Center where teacher Neley Haynes was awarded a $5,000 grant to fund her program, “Painted Peaceful Playground.” Her project will allow students to learn and grow physically, emotionally, socially and cognitively through the use of a newly constructed concrete playground. Houston teachers will be trained on how to effectively teach children rules and routines for the use of the playground as well as how to play a variety of games. The next stop was at Houston Academy, where teacher Pameolin Nelson was awarded a $1,355 grant to fund her programs, “When I Grow Up, I Want to Be…A Pathway to College/Careers.” The grant will be used to enable a group of her students to incorporate 21st Century skills by researching, designing and creating a series of Public Service Announcements (PSAs) on college and career choices. The students will produce the PSAs in order to inform their peers about what it takes to prepare for college and careers. AEF members then arrived at Carver High School where they awarded Kamilah Warren a $1,000 grant to fund her program, “Making Science Relevant Through Field Trips.” Warren will use the grant to take her students to the Health Science Museum so they can gain meaningful hands-on experiences through differentiated instruction, directly linked to course objectives and content standards. The Posse’s final stop of the day was at Eisenhower High School, where teachers Michaelann Kelley, Bobby Mansour, Sandra Capps and Joey Martin received a $5,000 grant to fund their program, “Phoenix Courtyard: A Project Based on building a Cross-Curricular Professional Learning Community.” The project will use hands-on applications in science, history, English, math, visual arts and come career and technical education courses to bring a previously beautiful courtyard that has fallen into disrepair back from the ashes, just as the Phoenix. Joining Mrs. Kujawa on the “Surprise Grant Posse” were AEF Board members Patty Acosta, Shane Clouteaux, Rose Avalos, Marine Jones, Sydney Brewer, and Jeff Hartman, AEF Director Judy Hoya and Stacey Smith, AISD’s program director of resource development. East Aldine District held their 4th Annual Partners’ Reception and Dinner last Tuesday evening, Dec. 3rd at the Greer & Lowdermilk Conference Center. Awards were presented to those partners who had participated with the district in their goals of improving living conditions for residents of East Aldine. About 150 persons attended, including business members, officials, board members, educators, public safety officials, and friends. The emcee for the evening was Dr. Bennie Lambert of Lone Star College North Harris. Awards were presented in eight categories, to recipients that had helped the district through the year. Two special awards were made to government officials: State Senator Senfronia Thompson received the Governmental Strategic Partner Award. Harris County Pct. 2 Commissioner Jack Morman received the Chairman’s Award from Mr. Overturff. After the awards, remarks about the status of the district were made by Chairman Gerald Overturff, and President/CEO David Hawes. Overturff added flavor to the evening with his remembrances of the Aldine area developing from a rough rural environment, to the urban quality it has today, with utilities, public safety, and good educational facilities. Houston police homicide detectives are investigating the fatal shooting of a teenager found in Keith-Wiess Park around 6:45 a.m. on Monday, December 1. According to HPD homicide investigators, runners from MacArthur High School and other joggers saw the body along a running trail at Keith-Wiess Park. The victim was deceased from several gunshot wounds. He has been identified as Luis Lara, 19, of Houston. He was a recent graduate of MacArthur High School, in 2012. Aldine Independent School District notified parents of the students who found the body about the incident and MacArthur HS also sent letters to parents. At this time, there is no known motive nor suspect(s). Anyone with information in this case is urged to contact the HPD Homicide Division at 713-308-3600 or Crime Stoppers at 713-222-TIPS. All tips remain anonymous. During the Nov. 19 Board meeting, Trustees approved Deputy Superintendent Dr. Archie Blanson’s recommendation to build a new elementary school on the north side of the district. The school will be located at the district’s Cypresswood Pointe location and is scheduled to open at the start of the 2015-16 school year. The project will cost approximately $15 million and will be funded by the bond referendum that AISD voters passed in May of 2007. Dr. Blanson and the district’s area superintendents have held several meetings to address student growth on the north side of the district (Nimitz area). After reviewing data, it was determined the fastest growth in that area is at the elementary school level. Dunn Elementary School, Jones Elementary School and Magrill Elementary School all have approximately 1,000 students and each is growing. 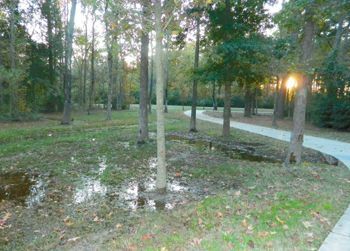 Several neighborhoods in the FM 1960/Treaschwig area are expected to build 1,300 homes over the next two years.